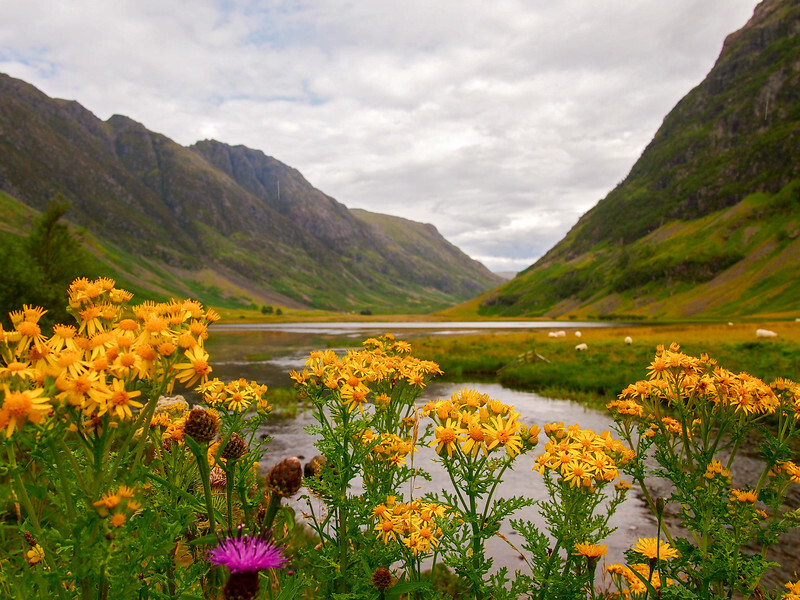 Despite weather that can change in an instant and a pricey British pound, there sure are a lot of things to love about the country of Scotland. 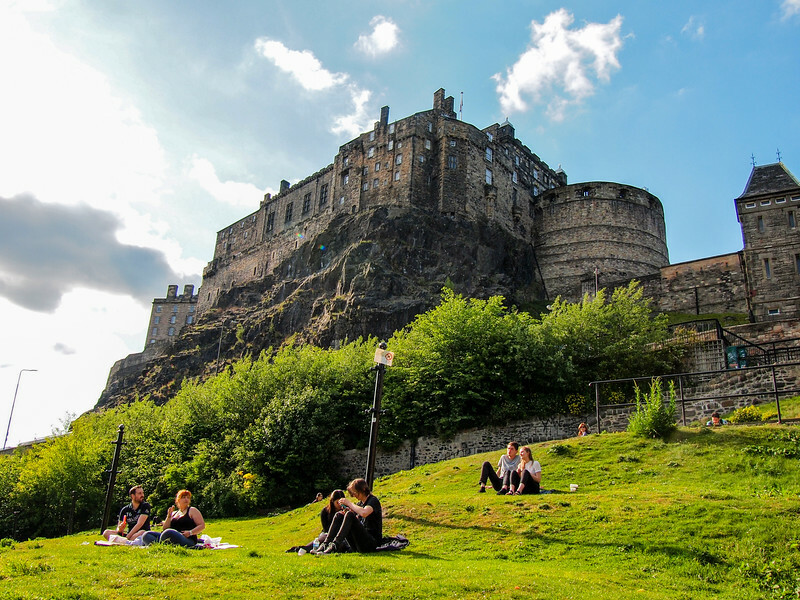 In total, I've spent more than a month traversing this little UK nation, from Edinburgh's Royal Mile during the height of festival season to the tranquil hills of the Highlands, falling in love with just about everything along the way. 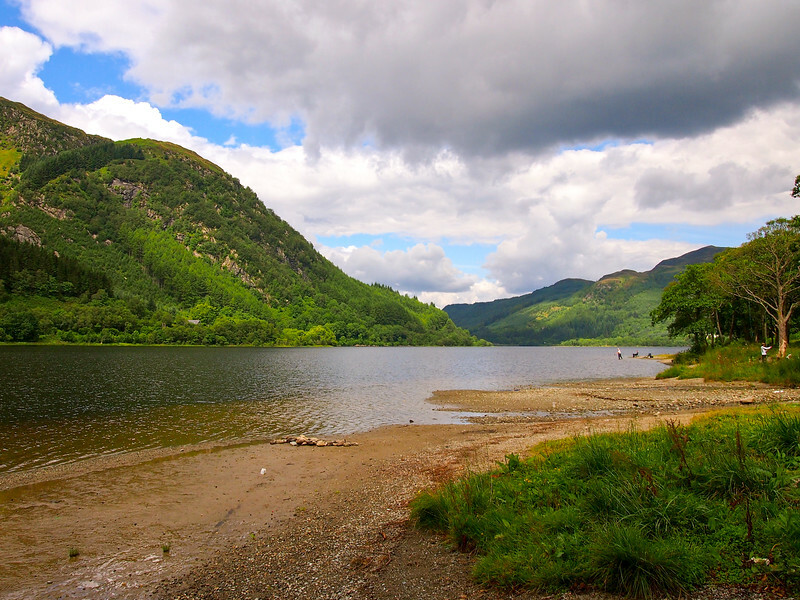 Scotland has some pretty famous lochs (or “lakes” for you normal English-speakers). But even the ones that you haven't heard of (i.e. the ones without monsters-in-residence) are stunning. Up in the Highlands, the lochs and mountains make for my favorite kind of landscape. Scotland really is like something straight out of a fairytale — “Brave” got it right. Not only does Scotland have some very pretty lakes, but those pretty lakes very often have medieval castles sitting on their shores. There are hundreds of castles in Scotland, and I never tired of seeing them. 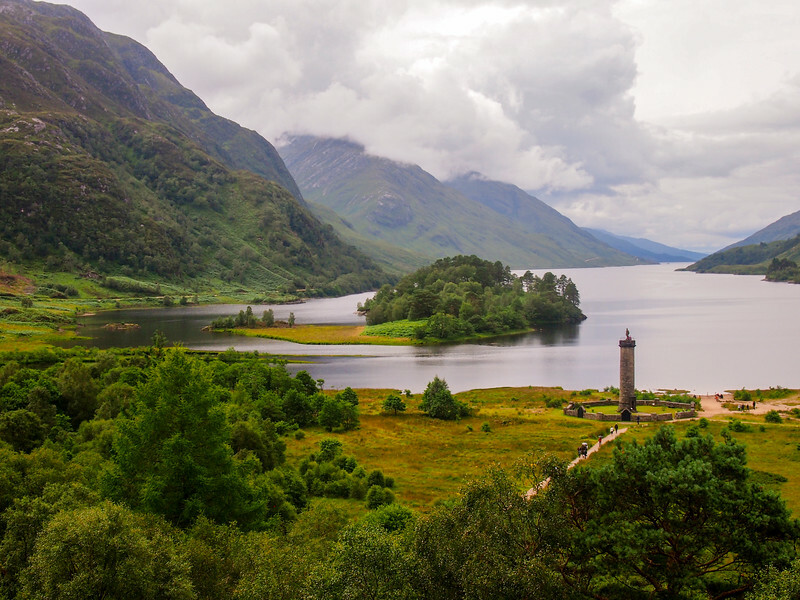 Along with all the gorgeous lochs, Scotland has some truly awe-inspiring scenery — especially up in the Highlands. As wowed as I have been with the landscapes in places like New Zealand and Iceland, parts of Scotland (like the Isle of Skye) definitely give them all a run for their money. Scotland isn't merely a land of hills and lakes, though. It also has some great cities and towns. 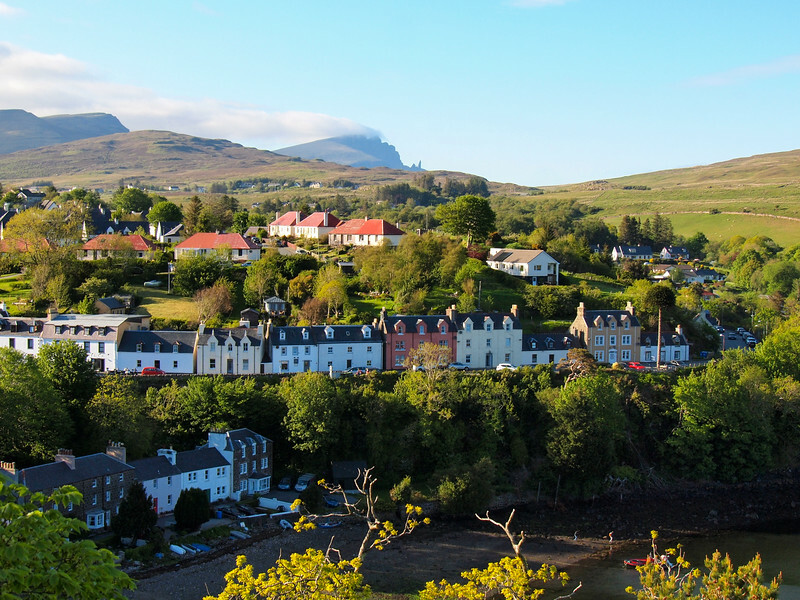 Cities like medieval Edinburgh and underrated Glasgow offer up plenty of things to do, while smaller towns like Oban and Protree are so cute they hurt. RELATED: August: The Best Time to Be in Edinburgh? 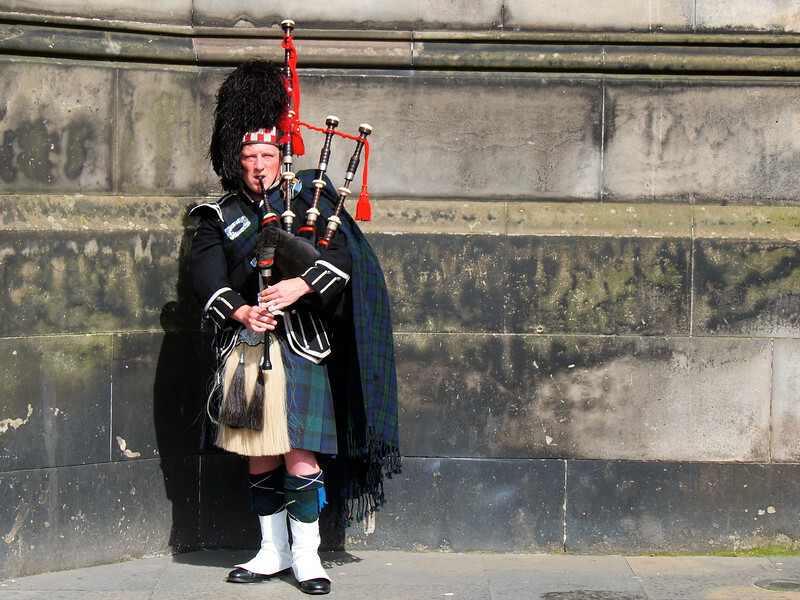 Lastly, Scotland is just so… Scottish! Nowhere else in the world will you find men in kilts, impromptu bagpiping, or adorable Highland cows the way you will in Scotland. Not to mention that Scottish people are incredibly friendly and proud to be Scottish — so refreshing! 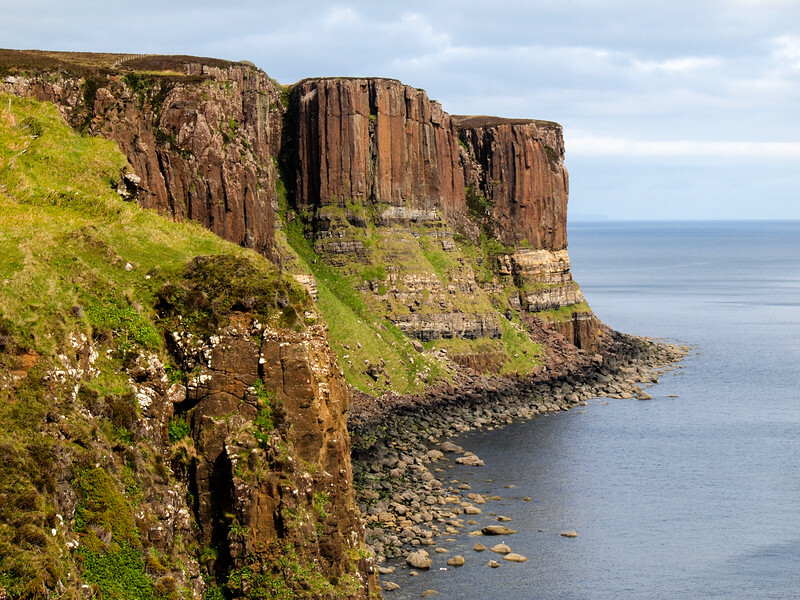 If you haven't spent any time in Scotland yet, you have no more excuses – get yourself there ASAP! Have you been to Scotland? What else do YOU love about the country? 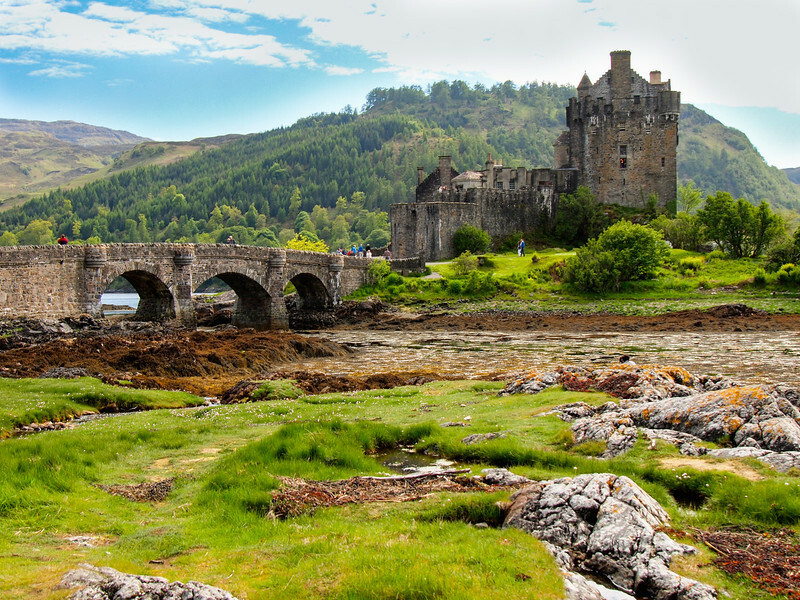 *Note: Part of my love of Scotland is definitely thanks to the 5-day Highland Fling tour I took with Haggis Adventures in 2012, and the 3-day Isle of Skye tour I took with Highland Explorer Tours in 2015. Yes the tours were complimentary, but my opinions about Scotland are entirely my own! Ah those landscapes! And the cow! Such a longing to go to Scotland right now. It’s only half a world away… quick jaunt before breakfast? I would love to spend more time on Skye – probably my favorite part of my Scotland trip this summer, even if we never did get to see much of the sun! #5 is my favorite reason! I’ve covered Scottish festivals here the last couple of years and have a friend that is Scottish. Scotland has been high on my list for a long time. However, been an outdoors guy/hiker, I like the scenery as well! You really do need to get yourself over to Scotland, Jeremy! You would definitely love it. I so pleased you love my home country! And thank you for bringing back a treasured memory. A couple of years ago I was returning to Glasgow by coach after hiking up Ben Nevis (the UK’s highest mountain 1,344 metres (4,409 ft). It was mid summer, around 8.30pm so the long hours of sunshine were still with us but the sun was getting lower in the sky. We passed by a loch, the road ran alongside it’s calm waters, with mountains on the other side. The light was beautiful and the scene was perfect. It brought tears to my eyes as I realised that of all the countries I’ve travelled to, all the loveliness I’ve seen, I’d never seen anything more beautiful than that loch and those mountains in the magical evening light. That’s such a lovely memory, and I’m glad to have reminded you of it! I’ve been to Scotland four times over the past 37 years. It’s breathtaking when you can see it – I tend to always have bad weather. As in POURING rain. I have been to Edinburgh twice and found it dark and depressing (the best part for me was the Grayfriers Bobby statue!) – I guess I am due for another trip and maybe some of the essence of the city people fall in love with will work it’s magic on me. My favourite part of Scotland is Sutherland – I was up there doing some genealogy as that’s where my roots are (besides England!) and fell in love with the ruggedness of it. 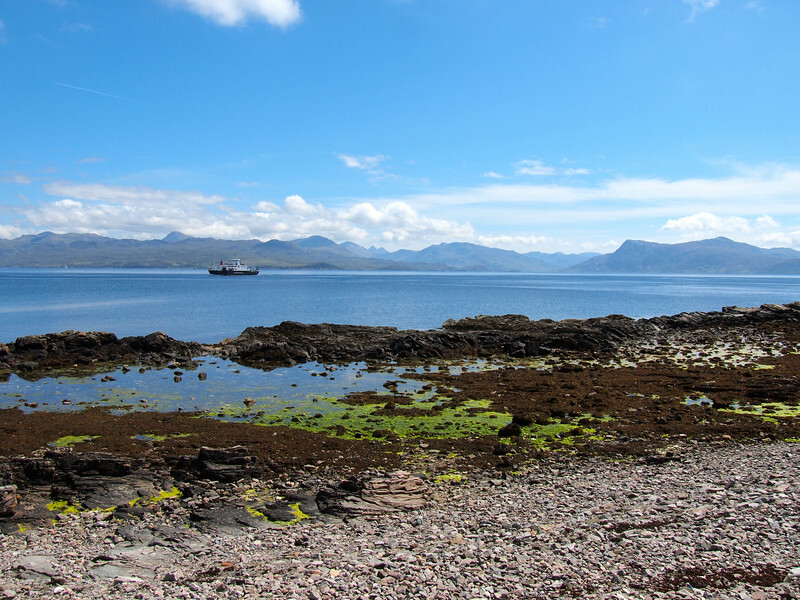 I spent a week on a walking holiday on the island of Aran which is know as Scotland in Miniature – it was beautiful and I did have mostly good weather! Hopefully trip #5 will be in September to do the Great Glen Way!!! Love your pictures! Well enjoy trip #5, and hopefully you get better weather this time! Gotta love a good kilt! It’s crazy that the smallest countries are always so packed with so many amazing things to do and see! Scotland, New Zealand, Iceland, Slovenia… some of my favorite countries that are all small, yet so beautiful! I love all of these reasons, especially the castles and landscape. I’m so excited to see it for myself next year! I’m excited for you! I’m going back for my second time this year in a couple of weeks, and can’t wait! Scotland is my favorite travel destination in UK. Love Edinburgh! Beautiful pictures. Reminded me good times of my trips to Scotland. All landscape shots are awesome! Sunset colors are gorgeous! Love the sky on The shallows of Loch Shiel pic. 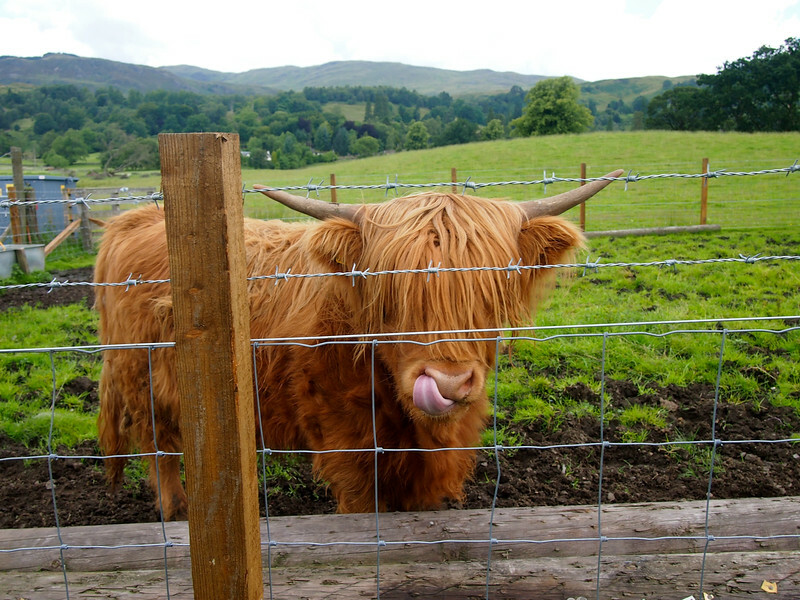 A Coo is Cool! 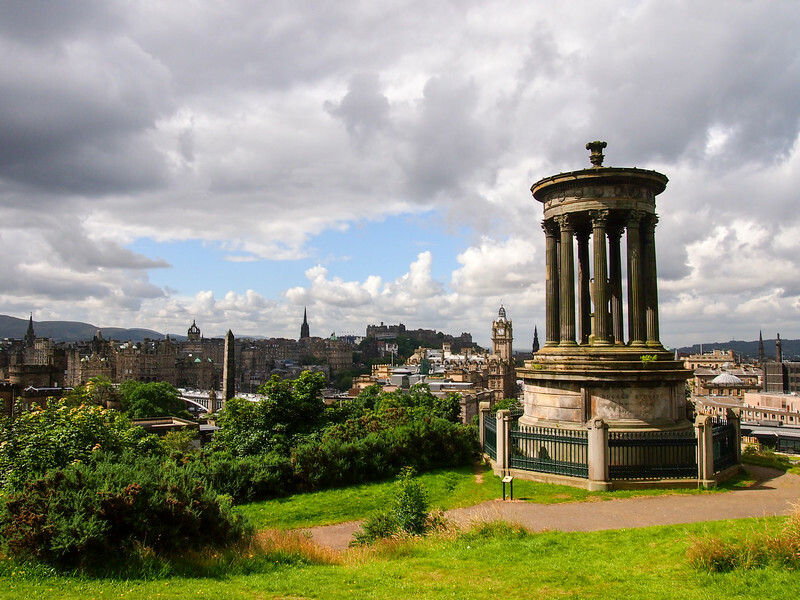 Scotland might be my favorite destination in the UK, too (just don’t let London know I said that…). Can you believe that Scotland has really been the only country that I’ve visited that I didn’t really like. I need to give it a 2nd chance!!! Really? That’s so hard to believe! Did you have bad weather? Or just a bad experience? I would definitely suggest giving it another chance! ♥ Scotland! I’ve been to Edinburgh twice, but never past it. One day I will! Oh man, you MUST see more! Especially the Highlands! Hopefully you make it there yourself soon! Beautiful countryside, hippy cows, and men in skirts… I’m sold! Haha, yeah, Scotland is an easy sell! Scotland looks like such a fun and beautiful place! I visited Scotland in May but for only four nights and I do want to go back. I looove old buildings and ruins and my brief stays in Edinburgh and St Andrews gave me plenty of those! When I return I’ll be tracking down some of those rugged moody rural landscapes. Scotland is a great country for old buildings and ruins – and for rugged, moody rural landscapes, especially up in the Highlands! I think you managed to collect those which make Scotland so attractive for me, too 🙂 thanks for sharing. was a pleasure 🙂 thanks! These are beautiful! 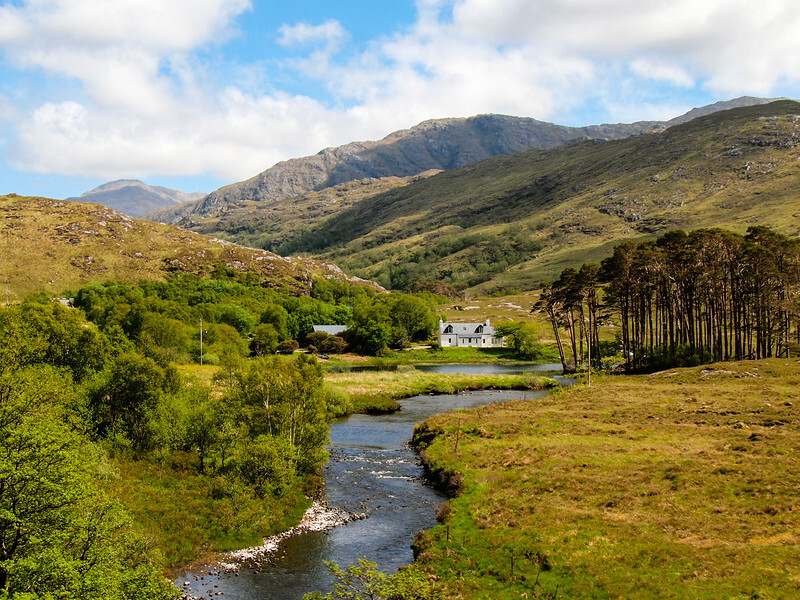 Our latest dream trip is trekking in the Scottish Highlands! Ooo that sounds like a great dream trip! I hope you make it happen! Scotland is a very easy place to fall in love with, for sure! Glad to hear you’re enjoying life in Glasgow. Scotland is beautiful! I’d like to go back to visit the Isle of Skye. The entire landscape is something straight out of a fairytale. The Isle of Skye is stunning. I want to go back and visit again! And there’s what Blair Athol distillery and many another one produces ! Yup, lots of distilleries in Scotland to choose from! MY HOME!! I love Scotland, thank you for this you did it such justice. I cannot believe you were at Loch Sheil!! I literally live in the next village to Acharacle, in Strontian. Scotland is incredible. It’s one of those places that I don’t think I would ever tire of visiting! Hey! I just stumbled upon your post and was amazed at the beauty Scotland holds. Chances are next year I will be studying abroad in Edinburgh, but I saw someone comment saying that it is “dark and depressing.” Is that true? I guess it depends on what you’re used to! The weather in Scotland CAN often be moody, and winters can be cold and dark. But I’m from Ohio, which has very similar weather. 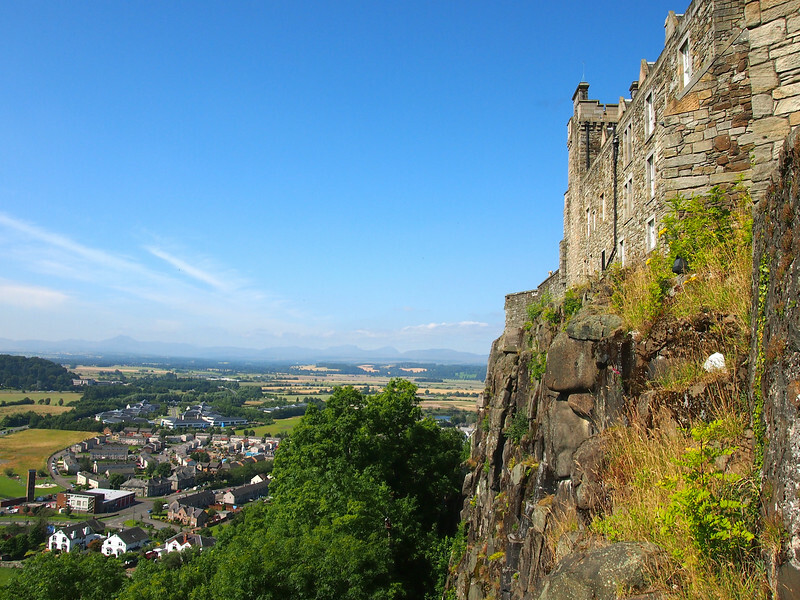 And, actually, I’ve been to Scotland in the summer and had gorgeous weather. 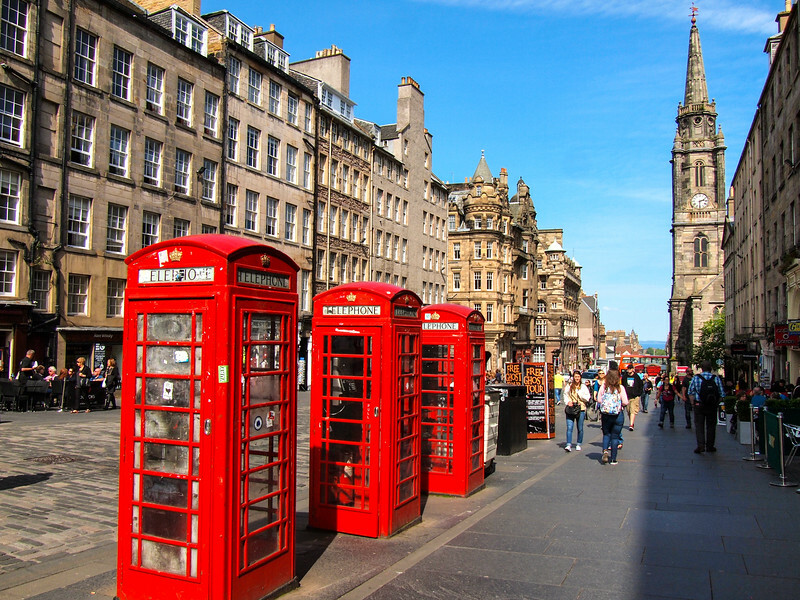 I think Edinburgh is a beautiful city, and there’s so much history there! I love this article! I’m currently planning a 2 week trip to England and Scotland is a definite must see. Thank you for the tips! 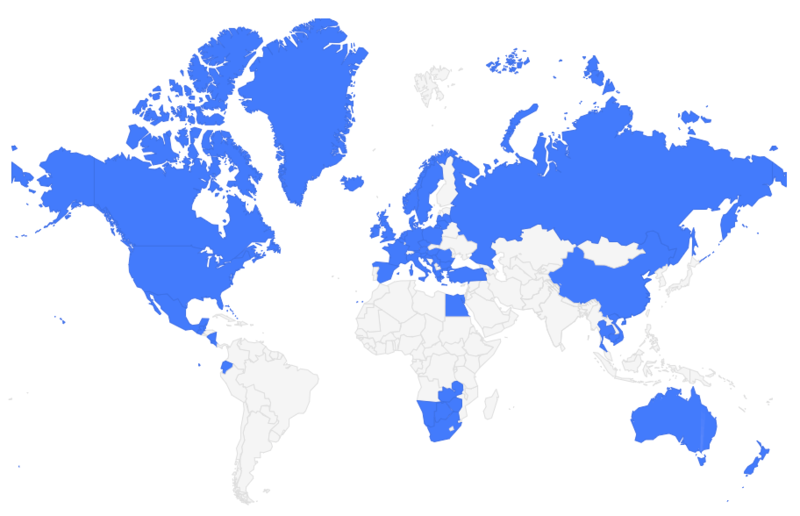 Now I have places marked to visit. I agree that Scotland is a definite must-see! Absolutely breathtaking! I had the pleasure of visiting Edinburgh and Glasgow a few years back, but I never made it into the Scottish Highlands. Those landscapes are GORGEOUS! Oh man. The Highlands are the BEST! One of my favorite places in the world, to be honest. Hello, my husband, myself, and 37 yr old son went to Scotland in April. Loved it! My husband and I are scheduled to go back in April of 2019! We had a rental car and learned very quickly to ditch it and take trains! Even went to a Metal concert. : ) It was lovely and folks of all ages were there. My son wants to move there on an ancestry visa. We are having a hard time getting all the facts correct. Do you have a good resource/friends that have been through the process? They can email me. I loved Paisley! We went to Skye, Inverness, Glasgow, and Edinbaugh. Loved Glasgow too.